ways to say "Thank You," and to recognize the contribution each worker is making. 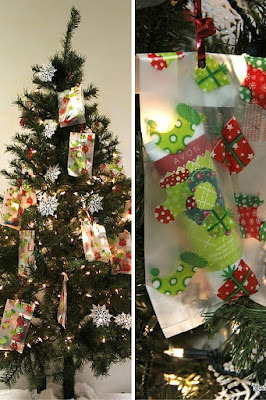 I have used a tree hung with small Christmas presents in the past to thank our volunteers (click here for the post). I always hung several different types of gifts, allowing everyone to chose what they enjoyed. I have included everything from K-cups to alligator jerky (for the guys). This year, I used the theme of snow and made this little poster with everyone's name on it. I wrapped a piece of cardboard in snow Christmas wrapping paper. 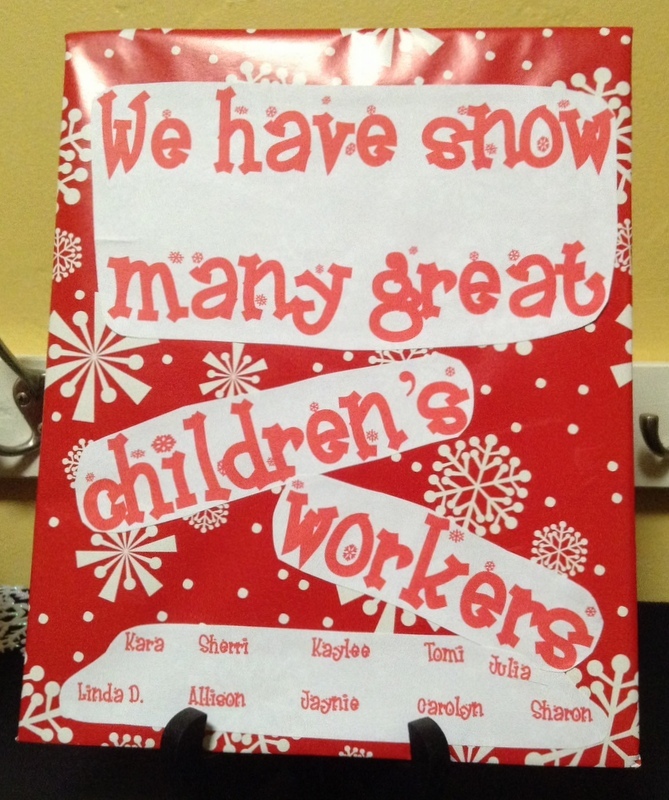 Then I used a font called Frosty for the lettering to write, "We Have Snow Many Great Children's Workers." I listed each worker’s name. 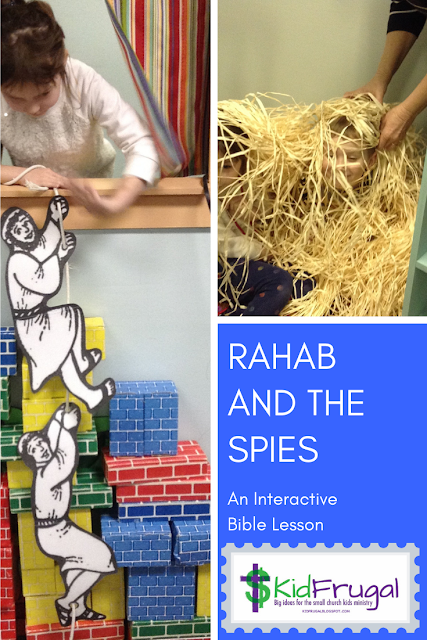 I like this because it allows others to see who is involved in the work – and it lets the children’s workers see how many of them there are. It gives a little extra recognition to have their names publicly displayed. I designed my own picture in Canva to put on a thank you card. Here is the link to my finished design on Canva. 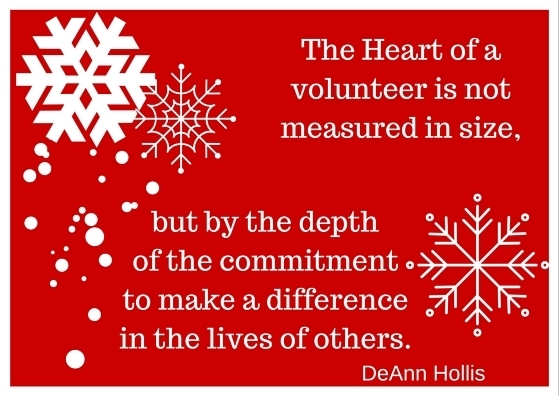 To help give meaning to their service, I chose a saying for the cover that expresses a key reason of volunteering. For the inside, I wrote a standard note reminding them of our goal for ministry - to help everyone remember why we are doing this at our church. The standard note also told everyone that there was a table downstairs with gifts for them to chose from. I hand wrote a few personal lines in each card expressing at least one thing I really appreciated about their ministry. Click here for the PDF file for the card. 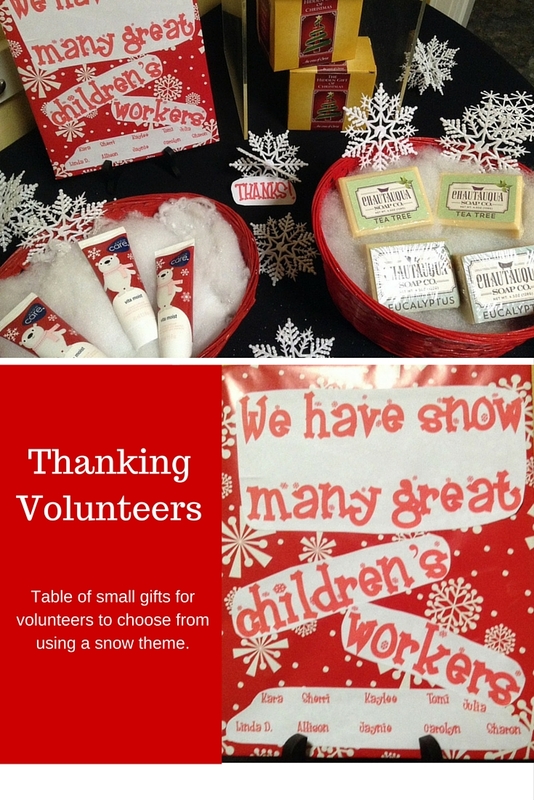 The day I handed out the notes, I saw all of the teen helpers gathered around the "snow" table after the morning service. It was gratifying to see them enjoying this small act of appreciation.